We all know now he can pout, but can he still stop a puck? Evgeni Nabokov was claimed off waivers; and then put on the naughty list by the New York Islanders, before ever suiting up for the team. The New York Islanders have suspended Evgeni Nabokov for not reporting after being claimed off of waivers on Jan. 22. The 35-year-old goaltender signed a one-year contract with the Detroit Red Wings on Jan 20. The AP ran a story on Sunday about Nabokov hanging up on Isles GM Garth Snow after being claimed by the club. UNIONDALE, N.Y. (AP)—Evgeni Nabokov gave off a poor first impression to Islanders general manager Garth Snow, but not bad enough to make New York sour on the veteran goalie it wants to add to the roster. Snow reached out to the 35-year-old Nabokov on Saturday shortly after the Islanders claimed him from the Detroit Red Wings—the team with which Nabokov signed a one-year contract on Thursday. Snow said when he identified himself on the phone, Nabokov immediately hung up. What was overlooked by many was Nabokov's complete ignorance regarding Article 13.23 of the current CBA rulebook, which we talked about here, after the Blues missed out on acquiring Marek Svatos and Kyle Wellwood under the exact same circumstances. Nabokov told ESPN.com on Sunday that his decision to spurn the Islanders is not personal. He merely intended to hook on with a title-contending team and not an also-ran club such as the Islanders, who own the third-fewest points in the NHL. 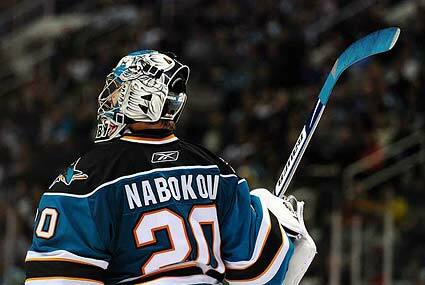 “I think I’m going to stay home for now, I’m sticking with my decision,” Nabokov said Sunday. “It’s nothing against the Islanders and their organization. It’s nothing to do with that. It’s just that I’m at the point in my career where I want to help a team win in the playoffs. I don’t see how I could help the Islanders or what I could do for them. It doesn’t make a lot of sense to me. And I hope they understand that. What's the point? Are you serious Evgeni? Do you not have any concept regarding the business of the NHL, or are you just a petulant child that did not get his way? It doesn't make sense for the Isles to acquire a commodity, nearly free of risk, to try to turn it into a draft pick or another player at the trade deadline? It doesn't make sense for Nabokov, in whom no NHL team showed any real interest in this off-season, to attempt to rebuild his NHL resume after such a poor showing in the inferior KHL? You don't see how you could help the Islanders or what you could do for them? Please! If Nabokov doesn't snap out of his tantrum and report quickly, he may just seal his way out of the NHL for good. Ken Holland must be glad that he missed out on bringing in such a head case. Don't you have to win something before you start acting like a diva? 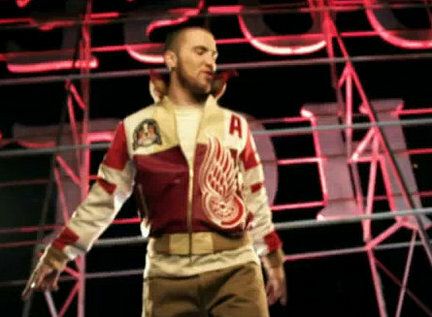 Somewhere Mike Posner is singing that Nabby probably thinks that he's cooler than him.